A good snow blower will clear your driveway in about a quarter of the time it would take you to shovel it. The very best models can slice through 18 inches of snow and hurl it 40 feet or more, clearing a path as fast as you can push the machine along. Although all snow blowers basically work the same—by scooping up snow and shooting it out a chute—Consumer Reports has found significant differences in how they perform. It's fascinating that no two snowflakes are alike, but that presents a problem for Consumer Reports' testing protocol. "We need to run our tests with something we can standardize, for consistency," explains Dave Trezza, who oversees snow-blower testing at Consumer Reports. “That's the reason we use a mixture of a certain type of sawdust, saturated with water, instead of snow." The mixture we use can simulate a standard snowfall or be molded into a mound that simulates a plow pile, like the ones the town plows leave at the foot of your driveway. In each test we time how fast a model cuts through the dense mixture and note how far the sawdust is thrown and how clean the surface is. The Overall Score for each model combines results from these performance tests as well as results of our survey of 17,000 CR members, which informs our brand reliability and owner satisfaction ratings. We test single-, two-, and three-stage blowers from brands including Ariens, Troy-Bilt, Honda, Cub Cadet, Craftsman, Husqvarna, and Toro. We also look at lighter-duty, single-stage electric blowers from brands like Sun Joe and Ego. Two-stage and three-stage snow blowers are the most powerful and can clear 16 to 18 inches of snow in one pass. They range in width from 24 to 30 inches, and models at the narrow end of that spectrum are considered "compact." Single-stage models are typically 21 inches wide and can clear snow up to 9 inches deep in a single pass. CR members can read on for ratings and reviews of the top performing gas- and battery-powered models from our ratings. 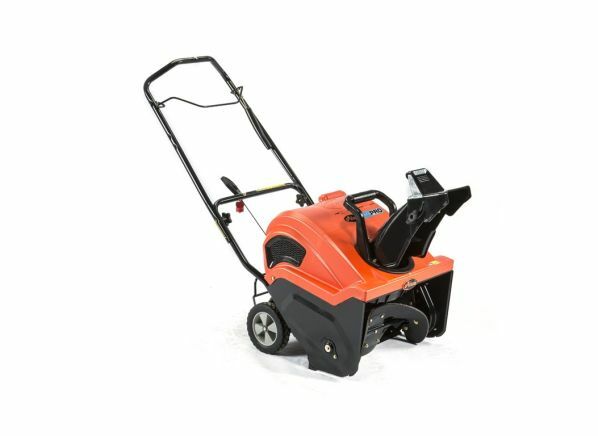 The performance of most snow blowers in our tests varies widely. The exceptions are three-stage models—all of which we recommend—and on the flip side, corded electrics—none of which we think are worth buying because they're so underpowered. For the remaining four types, we’ve highlighted the worst in class so you can be sure to avoid them. Need a new snow blower? 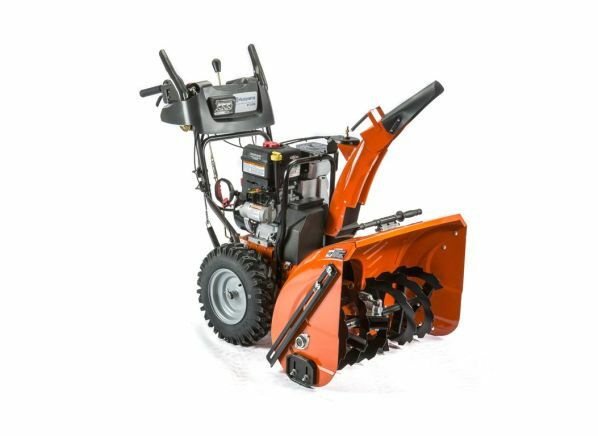 For more choices, see our full snow-blower ratings and recommendations of almost 80 models in all types, sizes, and prices. 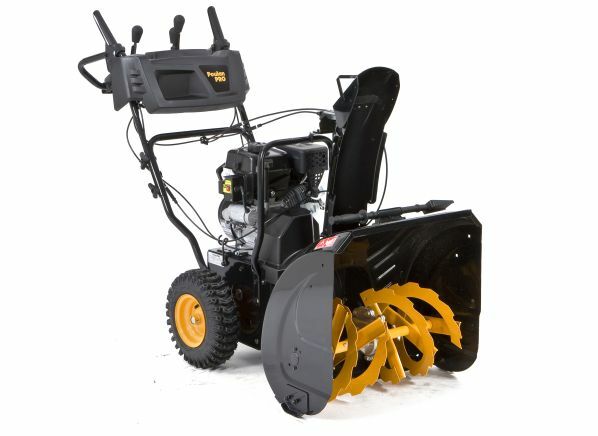 Not sure what the difference is between a single-stage and 3-stage snow blower? 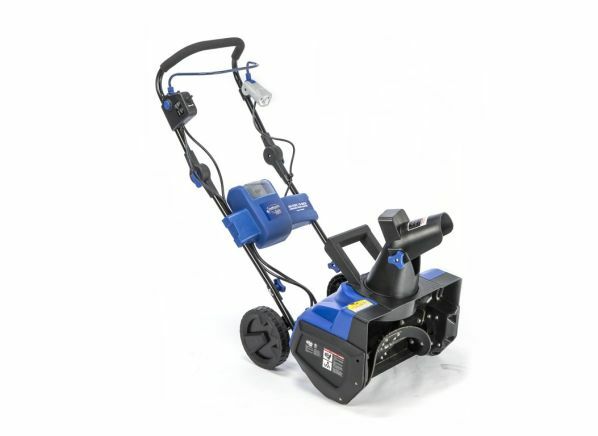 On the 'Consumer 101' TV show, CR expert Dave Trezza explains to show host Jack Rico everything consumers need to know about these snow-tossing machines.